Approved the 25th day of February 1993. Amendments approved the 27th day of April 1993. The rules of the Designation of Origin and its Regulatory Council published in the BOJA (Boletín Oficial de la Junta de Andalucía, Official Bulletin for legal documents of the Autonomous Government of Andalucía) nº32 are approved the 12th day of June of 1993 and come into force the 13th day of June by Orden (Spanish legislation) of the 23th day of April of 1993 of the Regional Government Ministry of Agriculture and Fisheries of Andalucía. Approved in the Orden (Spanish legislation) of the Spanish Ministry of Agriculture, Fisheries and Food the 4th day of November 1993 and published in the BOE (Boletín Oficial del Estado, Official Bulletin for legal documents in Spain) nº 284 and dated the 27th day of November of 1993. Article 1º According to the Disposición Adicional Quinta de la Ley 25/1970 de 2 de Diciembre and in its Rules approved by Decreto 835/72 de 23 de Marzo, Decreto 3711/74 and R.D. 728/88 de 8 de Julio (Spanish legislation), the Virgin Olive Oils with the characteristics and all the quality and elaboration requirements defined in these Rules and in the Spanish legislation in force are protected. Article 2º The protection includes the name of the Designation of Origin and the geographical name of Segura. The name of the Designation of Origin shall be entirely used with the three words which it is composed, in the same order and with the same characters. It is forbidden the use of this name in other olive oils, marks, terms, expressions and signs with a phonetic or graphic similarity which can led to confuse with the terms object of these Rules, even if they include words like “type”, “style”, “variety”, “bottled in”, “with mill in” and other similar terms. Article 3º The defence of the Designation of Origin, the application of its Rules, the vigilance of its performance, as well as the promotion and control of the quality of these olive oils are entrusted to the Regulatory Council of the Designation of Origin, the Dirección General de Industrias y Promoción Agroalimentaria of the Regional Government Ministry of Agriculture and Fisheries of Andalucía and the Dirección General de Política Alimentaria of the Spanish Ministry of Agriculture, Fisheries and Food, within its respective functions. Article 4º The production area of the virgin olive oils protected by the Designation of Origin Sierra de Segura is made up by the groves located in Arroyo del Ojanco, Beas de Segura, Segura de la Sierra, Benatae, Chiclana de Segura, Génave, Hornos de Segura, La Puerta de Segura, Orcera, Puente de Génave, Santiago-Pontones, Siles, Torres de Albanchez and Villarrodrigo, in the province of Jaén, which the Regulatory Council esteems suitable for the production of the olive varieties indicated in article 59. The qualification of the terrains and olive groves for being included in the production area shall be made by the Regulatory Council. They must be delimited in the cartographic data of this Organism and of the Olive Grove Agronomic Inventory. If the owner of the terrain or olive grove disagrees with the decision of the Council about the qualification, he/she shall appeal before the Regional Government Ministry of Agriculture and Fisheries of Andalucía which shall decide, prior the report of the competent Organism of the Regional Government of Andalucía and the necessary technical organisms. Article 5º The production of olive oils protected by the DO “Sierra de Segura” and the Council shall be exclusively carry out with olives of Picual, Verdala, Royal and Manzanillo of Jaén varieties, being the Picual the main variety. In case of an increase of planting in the production area, the Regulatory Council shall promote the main variety and restrictions of new plantings with other varieties shall be advised to the competent organisms. The Regulatory Council shall propose the Regional Government Ministry of Agriculture and Fisheries of Andalucía the authorization of new varieties which shall produce quality olive oils, after the necessary trials, and they would be assimilated to the traditional olive oils of the area. Article 6º The cultivation practises shall be traditional and tend to get the best quality olive oils. The Regulatory Council shall announce rules which consider appropriate. The Regulatory Council shall authorise the use of new cultural practises, treatments or ploughings which were an advance in the cultivation techniques. It must be proved that they shall not affect the quality of the olive fruit and oil produced. The Regulatory Council shall report about these uses to the Regional Government Ministry of Agriculture and Fisheries of Andalucía. Article 7º The harvest shall be made with great care and only healthy olive fruits picked directly from the tree shall be used in the elaboration of protected olive oils, with the necessary degree of ripeness for producing the characteristic olive oils of this Designation. The unhealthy fruit and those fruits which have felt to the ground before the harvest are called ground olives and they cannot be used in the elaboration of protected olive oils. The Regulatory Council shall fixed the starting or finishing date of the harvest-time (the fruit must reach the optimum degree of ripeness) and shall agree rules about the harvest by areas according to the capacity of the oil olive mills. Furthermore, the Council shall announce rules about the carriage of the olive fruit for being done without damaging the quality of the fruit. Article 8º Every year, the Regulatory Council shall establish the maximum period between the harvest of each batch of olive and the extraction of its oil, because of the harvest characteristics and environmental conditions. This period shall never exceed 48 hours. Article 9º The olive oils protected by the Designation of Origin “Sierra de Segura” shall be elaborated in mills located at the production area and with a minimum of 90% of olive from the Picual variety. Article 10º The techniques used in the handling and grinding of the olive, and in the extraction and preserving of the olive oils shall be the adequate techniques to get the highest quality products, maintaining the traditional characters of the olive oils of the production area in accordance with the legislation in force. Modern practises, which the advance of the elaiotecnia (olive oil technology) advises, sufficiently experienced and which did not produce demerit of the quality of the olive oils, shall be admitted. In olive oils remaining in the mills, the peroxide index would reach the figure of 20 in October. 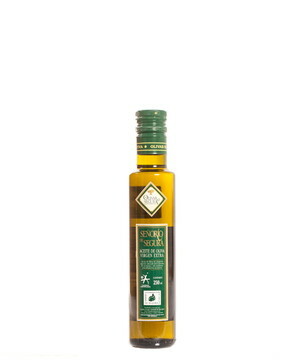 The virgin olive oils DO “Sierra de Segura” are yellow-greenish coloured, fruity, aromatic and lightly pungent oils with high stability. Article 12º The olive oils which do not fulfil the characteristics or index referred in this Chapter or have organoleptic defects shall not be qualified although they present the other requirements established in this Rules. The inscription requests shall be made by the Regulatory Council with the necessary information, documents and proofs required in each case by the dispositions and rules in force, in the forms stipulated by the Regulatory Council. The Regulatory Council shall deny the inscriptions which do not fulfil the Rules or agreements adopted by the Council about the complementary technical conditions of growing, mills, storage buildings, bottling plants and selling companies. The inscription in these registers does not exempt applicants from the obligation to be inscribed in those registers which are established with general character and, especially, in the Agricultural Industry Register of the Regional Government Ministry of Agriculture and Fisheries of Andalucía, whose certification shall be enclosed to the inscription form. Article 14º In the Olive Grove Register, all the plots of land planted with the olive varieties indicated in article 5 shall be inscribed and they must be located in the production area whose olive is used in the elaboration of olive oils protected by the DO. In the inscription shall appear the name of the owner or the tenant farmer, sharecropper or any other owner of the property; the name, location and municipal area of the olive grove, year of plantation, surface production, olive variety or varieties and all the necessary information for locating and classifying the olive grove. The Regulatory Council shall deliver the owners of the olive groves inscribed a document confirming their inscription. The inscriptions and cancellations shall be voluntary in this register. Once the cancellation was produced, the owner shall wait a minimum period of one year to be inscribed again, except ownership changes. Article 15º All the mills located in the production area, where the olive from the inscribed olive groves was grinded, shall be inscribed in the Olive Oil Mill Register. In the inscription it shall appear: name of the company, city and location, number, characteristics and capacity of bottles and machinery, elaboration system and all the necessary information for a perfect identification and classification of the olive oil mill. If the company is not the owner of the installations, the owner’s name shall be indicated. It shall be attached a scale plan where all the information and details of the building and installations were indicated. For inscribing a collective olive oil entity (Cooperative or SAT, Agrarian Transformation Society) in the Olive Oil Mill Register, it shall be necessary that all the olive groves of its members, whose olive fruit would be used for preparing protected olive oil, were inscribed in the Olive Grove Register. The Cooperative or SAT shall apply this inscription on behalf of its members. For inscribing the olive oil mills in the right register, the Regulatory Council shall verify that they meet the necessary characteristics to guarantee the quality of the olive oil in all the elaboration process. Article 16º In the Warehouse Register and the Bottling Plants Register it shall be inscribed all the warehouses and bottling plants located at the production area which are dedicated exclusively to the storage or bottling of olive oil protected by the DO. The information referred in article 15º shall appear in the inscription. The warehouses and bottling plants shall meet the necessary conditions to guarantee the perfect conservation of the product and its later bottled. Article 17º All the olive oil mills, storages or bottling plants inscribed in the previous registers which try to market olive oils protected by the DO under its own mark shall be inscribed in the Selling Companies Register. These olive oils shall be elaborated and stored before their bottled in the installations inscribed the Regulatory Council Registers. Article 18º Olive or olive oils without right to the DO, except ground or unhealthy olive, shall not be nor exist in the plot of lands with olive groves inscribed in the Olive Groves Register and their annex buildings. In the olive oil mills, warehouses and bottling plants inscribed in the registers, it shall exist a separation between raw materials and their elaboration process, storage or manipulation of the products protected by the DO and those products which are not used with this purpose. Article 19º For maintaining the inscriptions in their respective registers in force, it shall be strictly necessary to comply with the requirements of this Chapter. Any change about the inscription data shall be report the Regulatory Council which shall suspend or cancel the inscriptions when the owners do not comply with these prescriptions. The Regulatory Council shall execute periodical inspections for proving the effectiveness of what is said in the previous paragraph. Article 20º Just individuals or legal entities which have inscribed their olive groves, olive oil mills, warehouses or bottling plants in the registers regarding article 13º shall produce olive for the elaboration of protected olive oil, shall grind this olive to get oil for the DO or shall store and bottle olive oils protected by the DO, respectively. The Designation of Origin just shall be applied to olive oils from the mills, warehouses and bottling plants inscribed in their registers. These olive oils shall be produced and elaborated according to these Rules and shall have the respective characteristics and organoleptic conditions. The right for using the DO in documents, labels and advertising is exclusive of the inscribed companies in the Council registers. Individuals or legal entities, which are inscribed in these registers, are obliged to fulfil the dispositions of these Rules and the agreements announced by the Spanish Ministry of Agriculture, Fisheries and Food, the Regional Government Ministry of Agriculture and Fisheries of Andalucía and the Regulatory Council and they shall pay the corresponding levies. Article 21º Refining and extraction processes of olive-pomace oils shall not be produced either in the inscribed olive oil mills or in annex buildings. Bottling installations shall be located in the production area protected by the DO. The companies inscribed in the Selling Company Register shall use their legal name or commercial names registered by their owners for those batches of oil marketed out the production area. They shall have informed the Regulatory Council about it and shall give the Council the reliable documents. These companies shall take responsibility for using that name in olive oils protected by the DO. If the name is used by several companies, the liability shall be jointly. If a major infraction is committed using any of these commercial names, its use shall be forbidden to the authorised companies, without affecting the penalty foreseen in article 41º. Article 23º The legal names of the companies inscribed in the registers and those legal names referred in the aforementioned Chapter, as well as marks, symbols or any type of advertising used in the protected olive oils of the DO shall not be used even by the owners in the marketing of other olive oils. The Regulatory Council shall consider any exceptions, previous request of the applicant. If the request does not cause damages to the olive oils protected by the DO, it shall be submitted to the Regional Government Ministry of Agriculture and Fisheries of Andalucía. Article 24º The name of the DO “Sierra de Segura” must appear in the back-labels of the olive oils, apart from the general information established by the legislation in force. Labels, lithographs, etc., shall be authorised by the Regulatory Council before their marketing according to these Rules. The approval of the labels which shall cause confusion to consumers will be refused and a previous authorisation could be annulled if the label has changed. Non-metallic bottles with 5 litres or lower capacity shall have a numbered label or back-label and a seal in the cap to guarantee the inviolability of the olive oil issued by the Regulatory Council. Metallic bottles with 10 litres or lower capacity shall have a numbered seal of guarantee issued by the Regulatory Council. This seal could be replaced by the lithographed logotype of the DO with a stamped number into the bottle. The other products of the DO shall have a seal issued by the Regulatory Council. In any case, the conditions of application and use of the aforementioned labels, back-labels, seals or lithographs shall be adapted to the legislation in force and to the Rules announced by the Regulatory Council. A second use shall never be allowed. The Regulatory Council shall adopt and register a symbol for the Designation of Origin. Also, the Council shall oblige the olive oil mills, warehouses and bottling plants inscribed to show a plate with this condition. Article 25º Every dispatch of olive oils protected by the DO with a bottle above 5 litres which circulates among the inscribed companies shall be attached a certificate of circulation issued by the Regulatory Council. Sending of protected olive oil in bottles with more than 5 litres capacity and with destiny to other companies not inscribed in the DO shall be attached by the certificate of origin issued by the Regulatory Council. Article 26º The bottling of olive oil protected by the DO “Sierra de Segura” shall be exclusively made in the bottling plants inscribed and authorised by the Regulatory Council. If the olive oils are bottled in other companies, they shall lose the right to this DO. The olive oils protected by the DO “Sierra de Segura” shall circulate and be issued by the inscribed olive oil mills, warehouses and bottling plants in the types of bottle approved by the Regulatory Council. These bottles shall not damage the quality and prestige of these olive oils. - Once the harvest-time has finished and always before the 30th day of May of each year, all the companies inscribed in the Olive Grove Register shall present the declaration of the crop divided by varieties in each inscribed grove. It must be indicated the destiny of the olive and, in case of selling, the buyer’s name according to the Rules issued by the Regulatory Council. The quantity of unhealthy or ground olive obtained and its destiny shall also be declared. - Before the 30th day of May, all the companies inscribed in the Olive Oil Mills shall declare the quantity of olive oil obtained. The origin of this olive shall be consigned according to the varieties and the destiny of the olive oils sold, indicating its buyer and quantity. As long as they have stock, they shall declare in the first 10 days of each month the movement of the goods during the previous month and those ones referred to the 1st day of the current month. - In the first 10 days of each month, the companies inscribed in the Warehouse or Bottling Plant Register shall present the in and out declaration of olive oils produced in the previous month indicating their origin or destiny and the stock declaration referred to the 1st day of the current month. - The declarations foreseen in this article have statistical effects, so only numerical information without individual references shall be published. Any breach of this rule shall be considered a very serious misdemeanour. - All the companies inscribed shall complete the particular forms established by the Regulatory Council and those general forms established by the Regional Government Ministry of Agriculture and Fisheries of Andalucía about production, elaboration, stocks, marketing, etc. Article 28º The qualified olive oils and fruits shall maintain their characteristic qualities. Any oil or fruit qualified which presents defects or alterations shall be disqualified by the Regulatory Council. Therefore, if the precepts of these Rules or any other legislation in force about the olive oil production have been breached, the Regulatory Council shall disqualify them, as well as any product mixed with a previously disqualified product. In all these cases, the products shall automatically lose the present or future Designation of Origin. The disqualification of the oils shall be carried out by the Regulatory Council in any time of the production, elaboration, storing or marketing process. These olive oils shall be bottled in independent bottles under the Regulatory Council control from the beginning of the disqualification proceeding to their dispatch into the market and always without the Designation of Origin. - The production area with regard to territory functions. - The products protected by the Designation of Origin in any phase (production, storing, blotting, circulation and marketing) with regard to its product functions. - The people inscribed in the Registries, with regard to its people functions. Article 30º The main function of the Regulatory Council is to apply these rules and watch over its fulfilment. For doing that, it shall exercise the competences entrusted by article 87º of the Ley 25/1970 (Spanish legislation) and Complementary Dispositions and those ones expressly pointed out in the articles of these Rules. - A president, appointed by the Regional Government Ministry of Agriculture and Fisheries of Andalucía, by the Regulatory Council proposal. - A Vice-President appointed in the same way as the President. - Twelve Members, six members of the olive sector and the other six members of the producing-selling sector, who represent the sectors that compose the Designation of Origin. It shall be appointed a substitute for each Member of the Regulatory Council, who shall be elected in the same way as the Members. The post of the Members shall be renewed every four years and they could be re-elected. If a Member ceases due to any reason, a substitute shall be elected, although the management of the new member shall last until the renewal of the Council. Members shall take up the post in one month from the date of appointment. The Member who were sanctioned by major infraction in subjects regulated by these Rules, shall cease. Furthermore, he or she shall be deregistered because of unjustified absence (three consecutive meetings or five alternate meetings) or for being resigned from the Designation of Origin Registry. The Regional Government Ministry of Agriculture and Fisheries of Andalucía shall appoint a representative who attends meetings with voice but no vote. Article 32º Members of the Regulatory Council must be linked to the sectors they represent, directly or because they are executives of companies which work in that sector. However, an individual or legal entity which is inscribed in several Registries shall not have double representation in the Council, neither directly nor through subsidiary companies. Executives elected as Members shall cease when they cease as executives of the said company. A substitute shall be appointed according to the established form. - To represent the Regulatory Council. This representation shall be delegated expressly when it were necessary. - To fulfil and make fulfil the law and rules. - To administer income and funds and order payments, according to the Agreements of the Regulatory Council. - To call and chair the Council’s meetings, fixing the agenda and putting under discussion his/her competence subjects. To execute the agreements adopted. - To organize the Council domestic regime. - To suggest to the Regulatory Council the hiring, suspension or renewal of its staff. -To organise and manage the services. - To report the superior organization on the incidents that may be produced in the production or market. - To send the Regional Government Ministry of Agriculture and Fisheries of Andalucía those agreements which were adopted by the Regulatory Council for the general fulfilment according to these Rules, and those agreements which must be known for this Ministry. - Those functions which were agreed by the Regulatory Council or those competences entrusted by the Regional Government Ministry of Agriculture and Fisheries of Andalucía. The term of the President’s office is four years. He or she could be re-elected. The President shall cease: when the term office expires, by his/her petition once his/her resignation were accepted or by decision of the Regional Government Ministry of Agriculture and Fisheries of Andalucía. If the President would cease or deceased, the Regulatory Council shall suggest a candidate to the Regional Government Ministry of Agriculture and Fisheries of Andalucía in the term of one month. A civil servant appointed by the Regional Government Ministry of Agriculture and Fisheries of Andalucía must be chaired the Regulatory Council’s meetings where the proposal of a candidate for President were studied. Article 34º The Council shall be met when the President call it, at his/her request or at the request of half the members. It is compulsory to hold a meeting every three months. The Regulatory Council meetings shall be called four days earlier. A citation with the agenda shall be sent and only the subjects indicated in the agenda shall be discussed. If it is necessary, the President shall call the Members by telegram 24 hours in advance because of the urgency of the subject. In any case, the Regulatory Council shall be constituted when all the Members are present and they agree it by unanimously. If a Member cannot attend a meeting, he or she must notify the Regulatory Council and his/her substitute for being replaced. The Regulatory Council’s agreements shall be adopted by majority of the Members present. For being valid, it shall be necessary the presence of more than the half members of the Council. The President shall have casting vote. A Standing Committee shall be made up for solving procedure matters or when it were necessary. It shall be formed by the President and two Members, one of them from the olive sector and the other one from the producing-selling sector. They must be appointed by the full session of the Council. In the meeting where the constitution of the Standing Committee shall be agreed, it must be also agreed the specific missions and functions of this Committee. All the decisions adopted by the Standing Committee shall be notify to the full session of the Council in the first meeting. Article 35º The Regulatory Council shall have the necessary staff for the fulfilment of its purposes, according to the staff approved by the Regional Government Ministry of Agriculture and Fisheries of Andalucía. - To prepare the Council’s works and process the execution of its agreements. - To attend meetings, with voice but no vote, send notifications, take the minutes and watch over the Council’s books and documents. - The subjects relative to the domestic regime of this organism, both staff and administrative subjects. - Those functions that the President entrust him/her related with the preparation and instrumentation of the subjects which are competence of the Council. The Council shall have Technical Services for its technical function. A competent technician shall manage these services. - Inspection functions on the olives groves located at the production area. - Inspection functions on the olive oil mills, warehouses and bottling plants located at the production area. 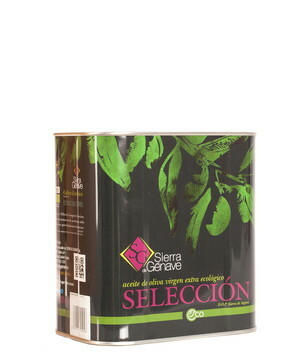 - Inspection functions on the protected olive oils in all the marketing area. The Regulatory Council shall hire the necessary staff for doing urgent works as long as this resource shall be approved in its Budget. The labour legislation shall be applicable to all the staff, both steady and temporary staff. Article 36º A Qualification Committee shall be established by the Regulatory Council, with three experts and a representative of the President. The main duty of this Committee shall be to inform about the quality of the olive fruit and olive oils. This Committee could have the technical advice which it esteem necessary. The Council President, according to the reports of this Committee, shall decide what it were appropriate. If it is necessary he or she shall disqualify the olive oil or the olive fruit according to article 28º. The disqualification decision shall be provisional during the next 10 days. During this term, if the interested person requests the revision of such decision, it must be studied by the full session of the Regulatory Council in order to resolve what it were appropriate. If no revision is requested during this term, it shall be a final decision. The decisions of the President or the Regulatory Council shall be appealed in the administrative jurisdiction to the Regional Government Ministry of Agriculture and Fisheries of Andalucía. The constitution and operation rules of the Qualification Committee shall be announced by the Regulatory Council. a) Annual levy on groves inscribed in the Council registers. The basis shall be the multiplication of the number of olive hectares inscribed addressed to each interested person by the average production value of a hectare in the area and in the previous harvest-time. The levy rate shall be 0.30%. b) Levy on protected products. The basis shall be the value resulting from multiply the average unit price of the protected product by the quantity of products which have been sold. The applied rate shall be 0.50% on protected products which have been sold in the domestic market and 0.50% on protected products which have been sold in foreign markets. c) A levy of 300 pesetas (1.80€) for issuing each certificate of origin and a levy of the double of the cost price of seals and back-labels for using them. People liable for these levies are: a) The owners of the olive groves inscribed; b) the owners of the olive oil mills, warehouses and bottling plants inscribed and who send olive oil to the market and c) the owners of the olive oil mills, warehouses and bottling plants inscribed who are petitioners of certificates of origin or purchasers of seals. - Subventions, legacies and donations which they receive. - Those amounts which shall be received as compensation of damages caused to the Regulatory Council or to the interests they represent. - The wealth and products and the sales of them. The rates fixed in this article shall be varied by the Council proposal by the Regional Government Ministry of Agriculture and Fisheries of Andalucía when the budgetary needs of the Regulatory Council advised it, always inside the limits foreseen in Article 90 of the Ley 25/1970 and Complementary Dispositions. The Regulatory Council shall manage the revenue and expenses which figure in the budget. The taxation of the financial transactions and accounting of the Regulatory Council shall be made by the Intervención Delegada, an organism of the Intervención General of the Regional Government of Andalucía, according to the rules of this organism and with the functions foreseen by the legislation in force. Article 38º The Regulatory Council Agreements which are not particular and affect a plurality of individuals shall be notified by circulars showed in the Council Offices and in the Town Councils affected by the Designation of Origin. They must be public at least during 10 days. The exhibition of such circulars shall be made public in the BOPJ (Boletín Oficial de la Provincia de Jaén, Official Bulletin for legal documents of the Province of Jaén). The agreements and decisions adopted by the Regulatory Council shall be appealed to the Regional Government Ministry of Agriculture and Fisheries of Andalucía. Article 39º Any proceedings with regard to disciplinary actions shall be complied with these Rules and the following laws: Ley 25/1970, de 2 de diciembre, Decreto 835/1972 de 2 de marzo, RD 1954/83 de 22 de junio and the Ley de 30/1992 de Procedimiento Administrativo (Spanish legislation) together with all the General Dispositions in force about this matter. It must be take into account the Real Decreto 2766/1983 de 5 de octubre about the transfer of agricultural functions and services between the Spanish and the Andalusia Government for applying the aforementioned legislation. Article 40º According to these Rules and the Regulatory Council agreements, the infractions shall be penalised with notice, fine, confiscation of goods, temporary suspension in the use of the DO or cancellation in the register/s as the following articles state, without affecting the sanctions which shall be imposed for infringing the General Legislation. The basis for the imposition of fines shall be fixed according to Article 120º of the Decreto 835/1972 (Spanish legislation). - The remaining infractions in matters foreseen in this article 41.1. - Not to fulfil the rules in force about hygienic practices in storing and carriage. - To use non-authorised olive fruit foreseen in article 7.2 for elaborating protected olive oils and, in general, any practice which influences the quality of the product, except those cases established by the Regulatory Council and in the conditions that this organism determines. 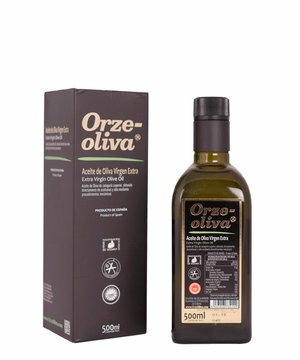 - To use olive of non-authorised varieties in the elaboration of protected olive oils. - Not to fulfil the grinding term, the elaboration rules or the conditions established in Article 8 of these Rules. - The remaining infractions in matters foreseen in this article 41.2. - The use of legal or commercial names, marks or symbols which mention the Designation of Origin or the names protected by it in the marketing of non-protected products. - The use of the Designation in olive oils which had not been elaborated, produced, stored or bottled according to the established rules by the legislation in force and these Rules or those olive oils which had not the characteristics and organoleptic conditions that must characterise them. - The use of commercial names, marks or labels which has not been approved by the Regulatory Council. - The illegal possession, negotiation or use of documents, labels, seals, etc. of the DO as well as their falsification. - The dispatch of olive oils which have not the quality characteristics mentioned in their means of marketing. - The dispatch, circulation or marketing of protected olive oils in bottles which have not been authorized by the Regulatory Council. - The dispatch, circulation or marketing of protected olive oils without numbered labels or without the control measurements foreseen by the Regulatory Council. - The use of non-authorised buildings in the elaboration, bottling or labelling of the protected olive oils. - The non-payment of parafiscal levies foreseen in Article 37 by the people liable for these levies. -Any act which infringes these Rules or the Council agreements and which could damage or discredit the Designation of Origin or which were a misuse of the DO. - To use improperly the Designation of Origin. - To use commercial names, marks, expressions and signs with a phonetic or graphic similarity with those names or signs protected by the Designation and which can led to confuse about the nature or origin of the products, without affecting the rights properly recognised by the competent organizations. - To use the names protected by the Designation in labels or advertising of products, even if they have been preceded by words like “type”, and other similar terms. - Any other action which damage or discredit the Designation of Origin or can produce confusion among consumers. These infractions shall be fined with 20.000 pesetas (120€) or the double of the value of the goods when the value exceeds the said amount and with its confiscation. - If they are mere irregularities in the observance of these Rules, without direct relevance for consumers or which have not special benefits for the offender. - If the defects are rectified in the terms given by the Regulatory Council. - If it is proved that there had not been bad faith. - If there is repetition in the negative of providing data or in the access of required documents by these Rules or by the Regulatory Council agreements. - If the infraction has direct relevance among consumers or it has a special benefit for the offender. - It the defects are not rectified in the terms given by the Regulatory Council. - If the infraction is committed by a negligent action with inobservance of the rules agreed by the Regulatory Council. - In any case that the application of the minimum or maximum degree does not be appropriate. - If it is proved that there has been bad faith. - If it results in serious damages for the Designation of Origin, inscribed entities or consumers. In the infractions typified in article 41 B and C, it shall be applied the temporary suspension in the use of the DO or the cancellation in the Council Registers. The temporary suspension, 3 months maximum, of the use of the DO shall entail the suspension of the right of using certifications of origin, seals, back-labels and any other document of the Regulatory Council. The cancellation shall mean the offender expulsion of the Council Registers and the loss of the inherent rights in the Designation. Article 44º The confiscation of goods could be applied as unique or incidental sanction or the payment of the amount of its value if the confiscation was not possible. In case of disappearance, change or manipulation made on the detained or confiscated goods, it shall be applied Article 399º of the Spanish Criminal Code. Article 45º In case of recidivism or when products were sending to foreign market, fines shall be higher in a 50% of the maximum fines foreseen in these Rules, without affecting the sanctions which could fit according to the legislation in force. If the recidivist committed a new infraction, fines could reach the triple of its maximum limit. It shall be considered recidivist to the offender sanctioned by final decision in the previous five years. The sanctions shall be published in BOJA. FIRST. The Regional Government Ministry of Agriculture and Fisheries of Andalucía shall be authorized by the Regulatory Council proposal for announce the rules for adapting the present regime of the DO and the obligations of those people inscribed in the registers. This evolution must be done in three years from the publication date of these rules in BOJA. SECOND. The present Regulatory Council of the DO “Sierra de Segura” shall assume all the functions foreseen in Chapter VII. The present Members shall continue in their posts until the Regulatory Council shall be constituted according to article 31º of these Rules.